When it comes to Holidays, Minnesotans rise to the occasion - and little town of Lake Eden is baking up a storm with Hannah Swensen leading the way. The annual Christmas Buffet is the final test of the recipes Hannah has collected for the Lake Eden Holiday Buffet Cookbook. Enjoyed this cookbook, there are recipes I look forward to making. Cute story too. 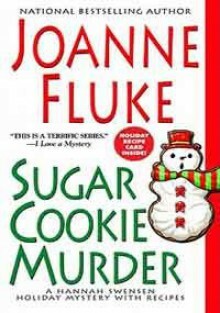 I am not sure if it is because I am reading WAY too may cozies right now..but I almost went into sugar shock with this book. This book was overboard with how sweet it was. The recipes were actually better than the story!